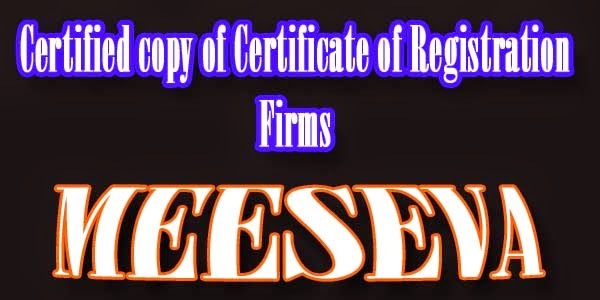 Description: This service is availed when citizen wants a copy of already registered firm. At the time of registration,initially 1 original copy is provided to the citizen. Later,he/she can request for certified copy only.Telangana ap govt citizen good service running in meeseva centers. meeseva 6500 centers 15000 operators is working in telangana and ap states.